Sea urchins, or riccio di mare (sea hedgehogs) as we call them, are very popular in Salento and much prized for their delicate “eggs” (roe) which people eat raw with bread and a glass of wine while sitting on rocks overlooking the sea. 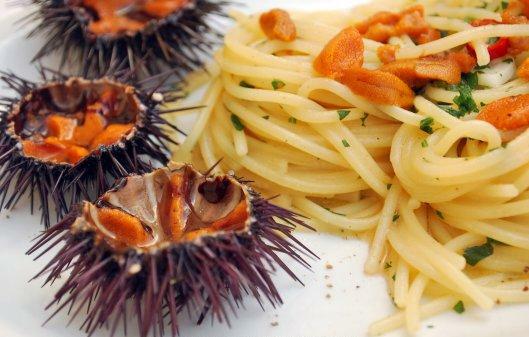 They are used in lots of different recipes, including spaghetti al riccio di mare, which is delicious, absolutely unique, typical of the Salento seaside and much enjoyed by tourists! 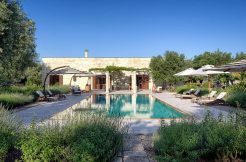 Here is a simple recipe for spaghetti al riccio di mare and a piece of advice from us: book your holiday in Salento and DO TRY AND MAKE THIS AT THE MASSERIA! Boil the spaghetti in salted water. Meanwhile, soften the garlic in oil in a frying pan. Mix the pasta in the garlic and oil, adding a few tablespoon of the cooking water, add the sea urchin roe and stir for 1 minute. Sprinkle with finely chopped parsley. Sea urchins are readily available all along the west coast and the Ionian sea and are harvested in the summer, particularly in Santa Cesarea, Castro, Tricase, Torrevado, Torre San Giovanni, Leuca, Gallipoli and Otranto. It’s very easy to meet local fishermen in the various ports, particularly just after dawn. They’ll happily tell you all about how they collect these lovely “sea hedgehogs”! 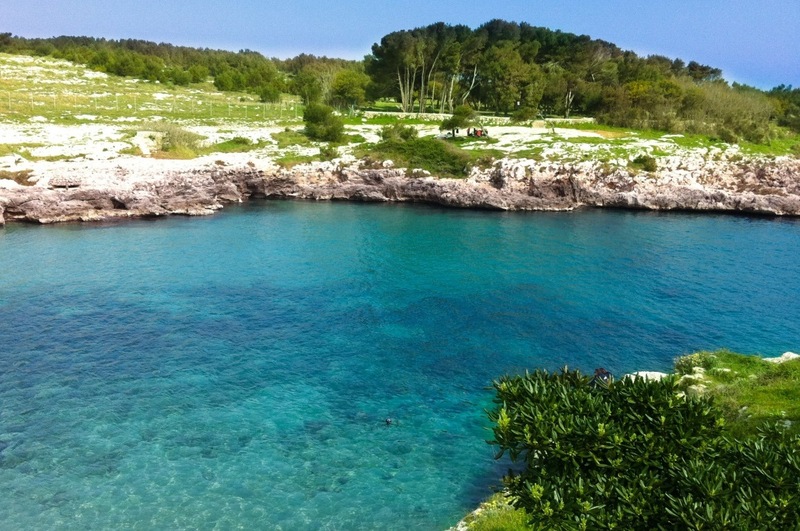 If you like swimming then you too can try your luck at finding some in the sweet, abundant waters of the Mediterranean. Our concierge staff would be delighted to help you and advise you where and how to find these rare and much prized sea urchins, at the same time respecting Italian regulations. These precious gifts from the sea are celebrated every year all over Salento, but especially at Porto Badisco where, in the ancient “casa del pescatore” (fisherman’s house) overlooking the sea, they hold the “Sagra del Riccio di Mare” – Sea Urchin festival – where you can try a few of the more than 5000 sea urchins they bring along for the occasion! You can just eat them with a spoon, or with bread and eggs. There are other local delicacies too, all of which can be enjoyed accompanied by live music and a glass or two of good Salento wine! According to legend, Trojan hero Aeneas, his father Anchises and his son Ascanius passed through Porto Badisco. Salento, where culture and history are intertwined with beautiful landscapes and fantastic food.